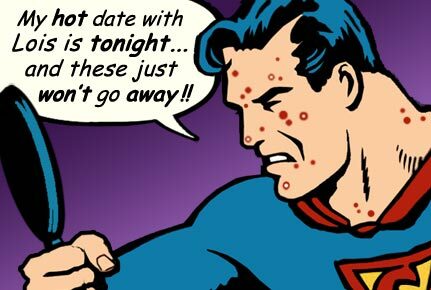 So the clogged pore is the primary event in acne. Sometimes that is all there is - so retinoids, like Retin-A, Tazorac (the most potent), or differin and extractions are all that is needed. Preventing inflammatory lesions - Accutane type drugs. 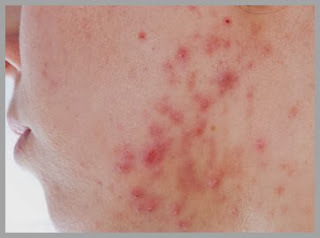 You need to apply preventively: all over the place where you expect pimples. Time, not usually medications, get rid of existing pimples. 80-90 % of patients are doing very well within a month on these regimens. A lot is known. It is due to the interaction between the oil glands in the skin and the male hormone, testosterone. That is why we don't get it until after puberty: our testosterone is not high enough. The problem is, however, not with the testosterone (except in females with polycystic ovaries or those males supplementing) but in the genetic table set in the oil glands - when stimulated by testosterone they produce excessive oils (at least deep in the pores). These excessive oils are digested by bacteria, corynebacterium acne; the free fatty acid produced from the digestion then irritates the nearby hair follicles yielding an abnormal product, parakeratin, which clogs the pores. Blackheads and whiteheads (grade 1 acne) are composed of parakeratin. Retinoids topically help prevent parakeratin. More about retinoids, stages 2, 3, and 4 (zits - big & small) and rationales of treatment in ACNE Part 2 - coming soon to a computer screen near you!